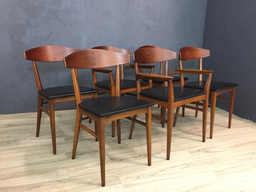 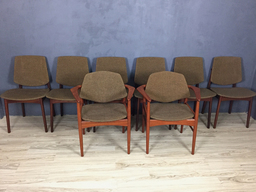 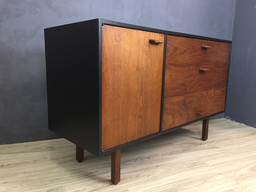 Furnette was a furniture company operating out of Bronx, New York, creating popular case pieces in the late 50’s. 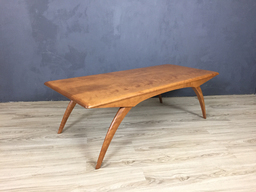 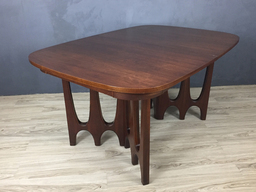 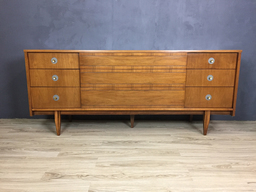 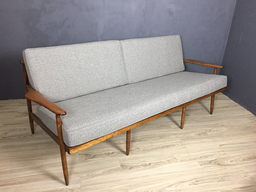 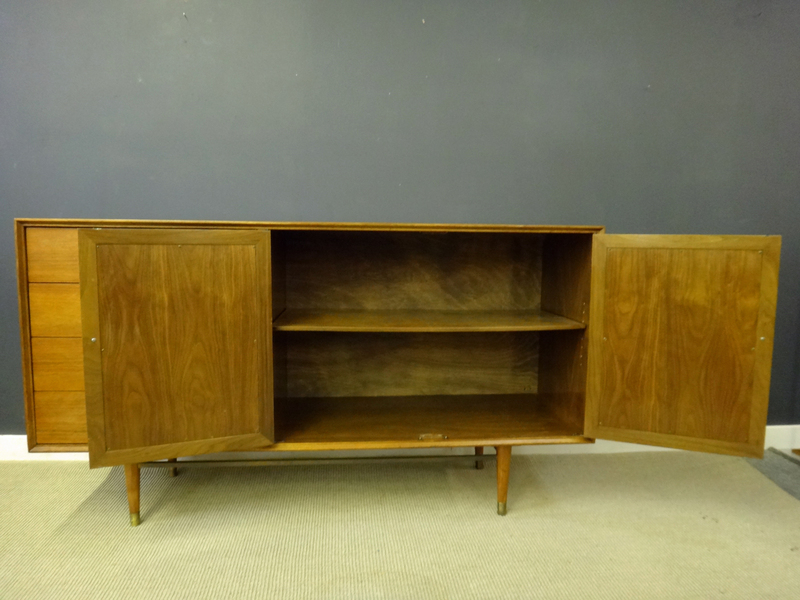 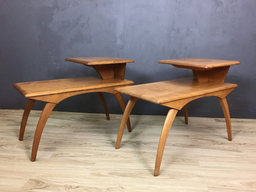 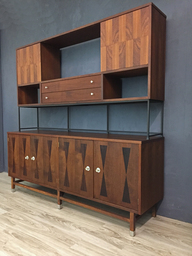 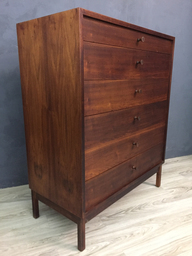 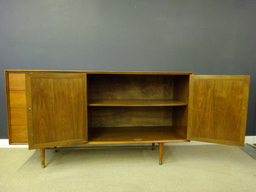 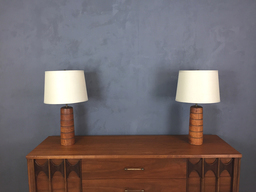 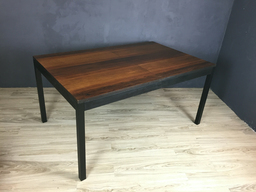 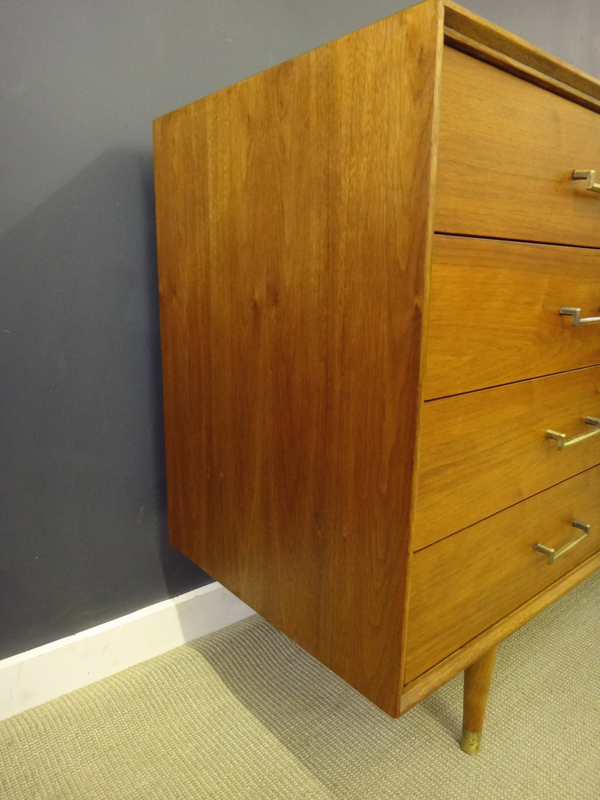 This walnut credenza, featuring the signature brass rail connecting the legs, is a really nice example of this American mid century modern design company. 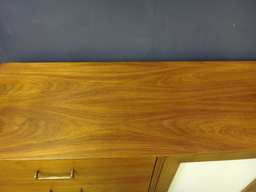 The doors panels are reversible with one side a white vinyl surface and the other wood. 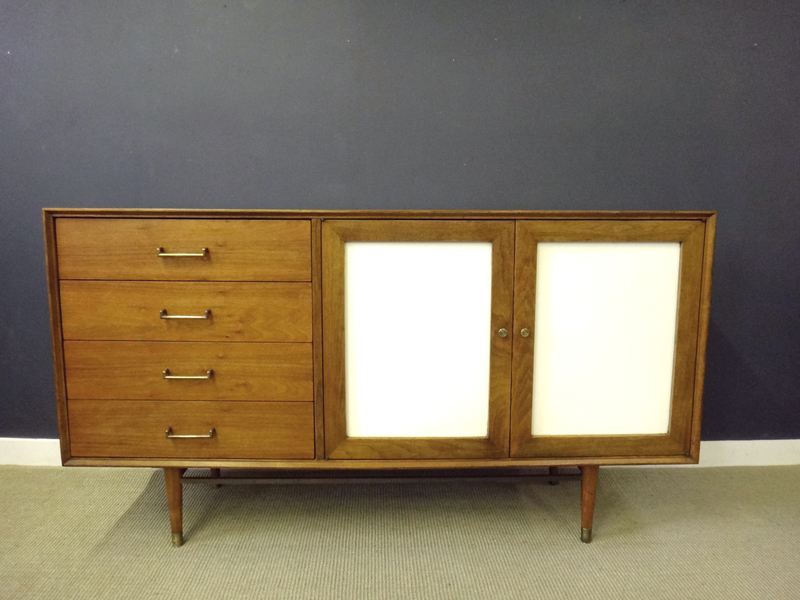 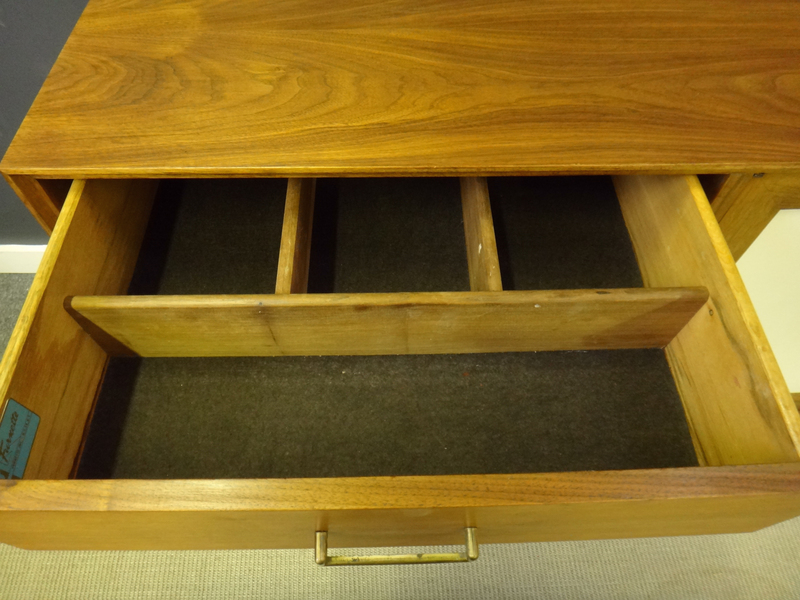 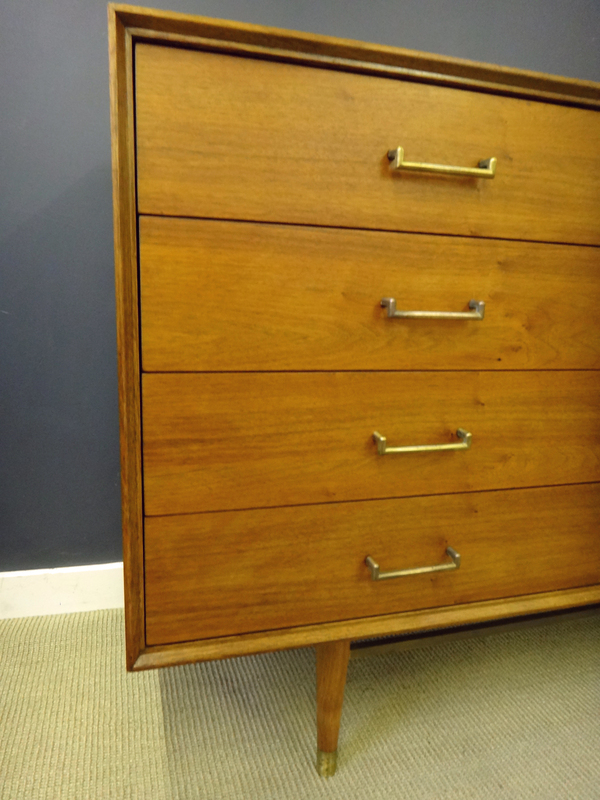 This nicely constructed sideboard has been refinished and is in excellent condition with smoothly working drawers. One adjustable shelf behind cabinet doors.